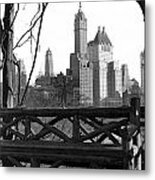 There are no comments for Hotels Seen From Central Park . Click here to post the first comment. 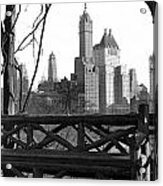 New York, New York: c. 1928The Savoy Plaza Hotel, to the right of the Netherland Hotel, was considered an icon of 1920s prosperity. 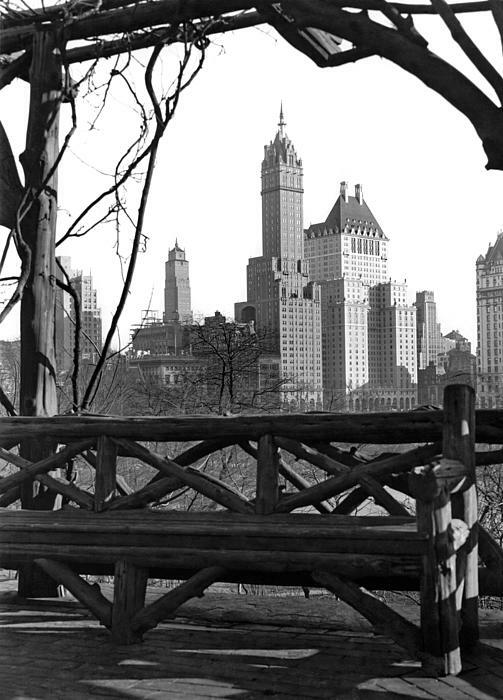 Just off Manhattatan's Central Park, the hotel can be clearly seen from this rustic bench in the Park.